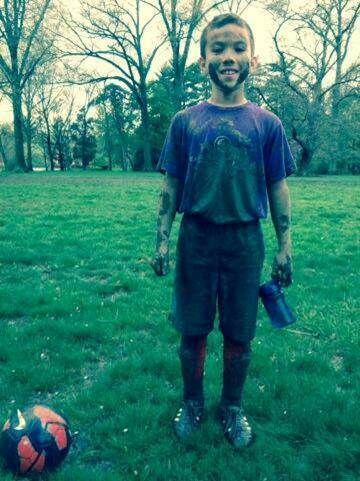 Safety aside, soccer and a muddy, grass field: a boy’s idea of heaven! The World Cup has arrived, at last, and brought with it already the first controversy of the tournament: did Fred flop? But in the world of football/soccer, there is another, older controversy: turf vs. grass. We revisit this issue by looking at a previous blog post (it is very difficult to write while watching Mexico vs. Cameroon!). Turf vs. grass: which is safer? Take a read, and let us know what you think. I was interviewed last week for a newspaper article which looked at the debate over a local school’s intention to transform a grass playing surface to artifical turf. Among the controversies in sports medicine, the turf vs. grass wars are not the loudest nor the meanest, but they have been among the most persistent ever since 1966, when the Houston Astros first introduced a synthetic turf playing surface in the Astrodome, and dubbed it Astroturf. The history of the Astrodome makes for interesting reading: of note, the original intention was for the surface to be natural grass, and the makers of the dome had installed traslucent skylights to allow for grass to grow on the indoor surface. Alas, not enough light made it to the playing surface, the grass died, and Astroturf was born.